Jack’s latest obsession is vacuuming with Mommy. 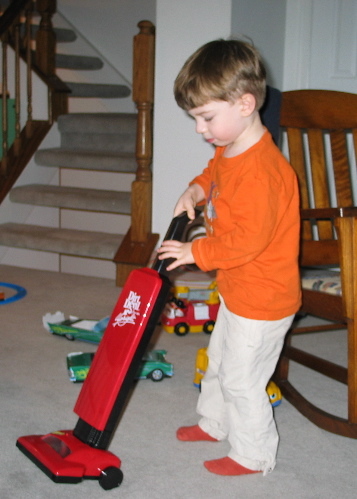 Of course, the real vacuum cleaner is too big, too heavy, and too dangerous for him to play with. So, we got him this. The really funny part (aside from his obsession with vacuuming) is that this is an exact duplicate of our real vacuum cleaner.